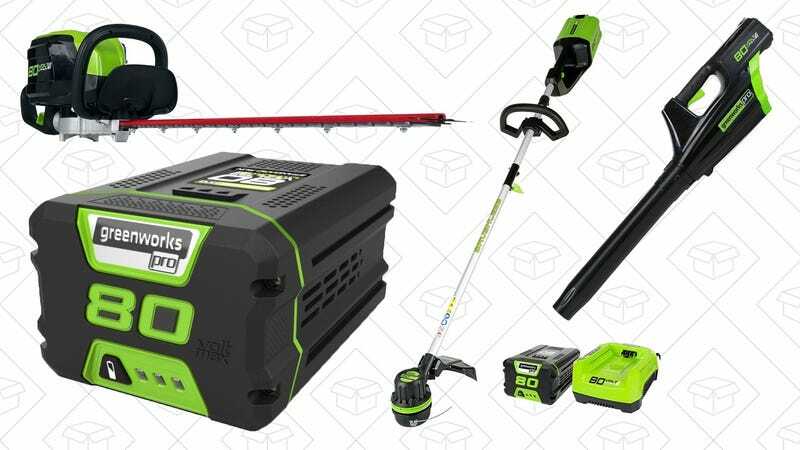 Greenworks’ 80V cordless lawn tools will make you wonder why you ever used gas-powered appliances, and several of them are on sale, today only. Included in the deal are a pair of blowers—your lawn will be covered in leaves in a month or two, if you can believe that—an edger, and a hedge trimmer, plus spare batteries and chargers if you need them. Every deal in this sale is an all-time low price, usually by a pretty huge margin, so if you have any inkling that you might want some of these for your lawn, you don’t want to miss out. Note: The edger includes a battery, but the other three tools do not.